You of course know about climate. In coastal BC it’s usually rain for 10 months (this year being the exception) and sun for 2 months. Not much snow, not much frost, but also not much heat. In fact we don’t have warm nights until well into June. Which is why I’ve only just started my tomatoes–it’s said they shouldn’t be planted out until the nights are consistently over 10° C.
A few notes about Hardiness Zones: Canada and America have slightly different Hardiness Zones, so be sure to check your own country’s map. This map of last frost dates goes into great detail so you can look up your own town and see when it’s (supposedly) safe to plant out tender plants. But last frost dates are an inexact and limited means of knowing when it’s good to plant or sow. They can tell you if you can grow lemons in Bella Bella (not) but they don’t, for example, tell you if you have enough hot days to ripen melons. For information like that, you can go to your local seed companies. Here in BC, West Coast Seeds (located in sunny Ladner) gives regional planting/sowing lists. Micro-climates is where things get much more interesting and precise. A micro-climate is any area where it’s hotter or colder, wetter or drier or windier than the surrounding areas. In my garden I have a hot, dry micro-climate against the back wall of the house. It faces south, so gets the most sun, there’s little to shade it in the depths of summer, and for two feet it’s under the overhang of the eaves. So that’s where I grow my hot-, dry-loving grapes. 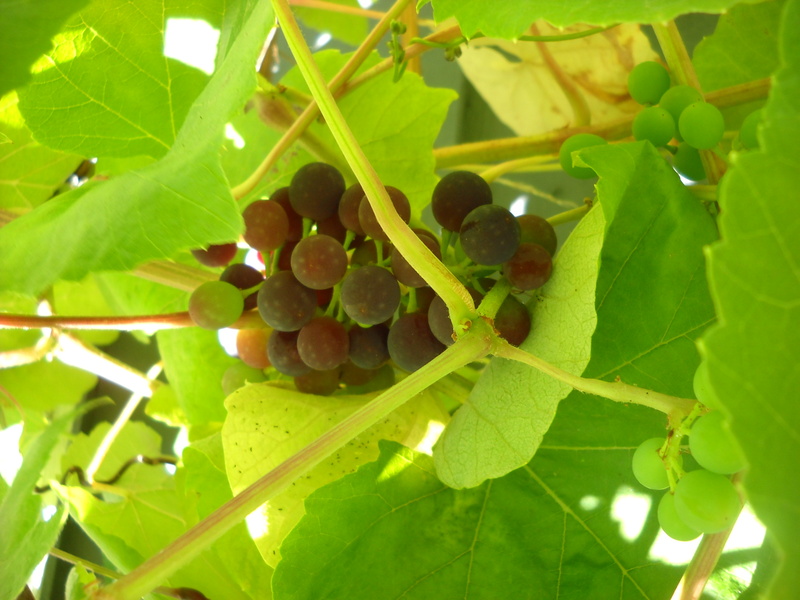 I think this may be Coronation grape. But step back just a bit, and I’m now in a patch that receives full rain and full sun. At the back of my south facing yard, the back-most 2-3′ get no direct sun ever. The 6′ fence shades it all afternoon, the Douglas-fir to the east shades it all morning, and the house to the west shades it all evening. 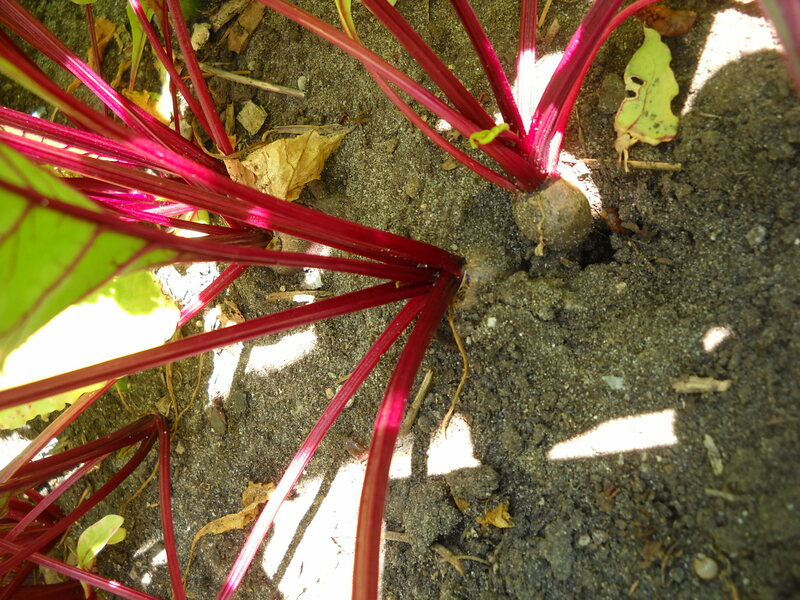 So even on the longest day of the year I can be sure that shade loving perennials, and shade-tolerant vegetables will be fine there (only the most shade-tolerant veggies, like most leafy greens). The great thing about micro-climates is that you can modify them more easily than you can change the climate. Thinning out the branches of the Douglas-fir allowed a little more rain below, and a little more sun. Planting a tree or even just a shrub can shelter a windy spot. Building raised beds can give you warmer soil earlier. Identify what you want, and then see if there’s some modifications you can make to achieve it. It’s usually my practice to advise people to not make any big design decisions for their gardens until they’ve experienced one year of weather/climate/micro-climate. But for vegetable gardens I’d say–Just go ahead. Make a semi-educated guess about exposure in various areas, and if you get it wrong, little harm done. It’s all learning experience. I’m still trying to learn how to grow carrots and beets! Littlest beets ever. But tasty greens! Stay tuned for installment 3. 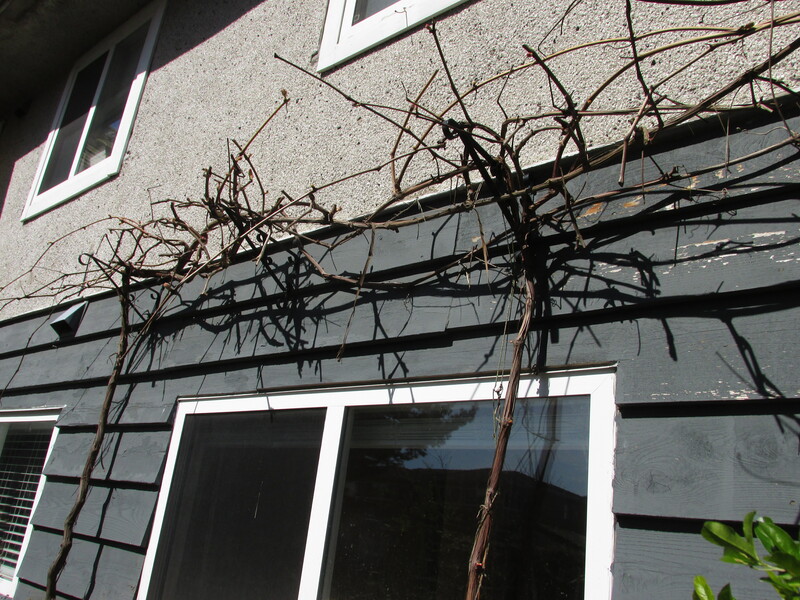 This entry was posted in garden, Vegetables and tagged Climate, Coronation Grapes, Garden Tribe, hardiness zones, last frost dates, micro-climate by Janet. Bookmark the permalink.